Today, I am proud to announce the creation of the Pay It Forward scholarship that I will be hosting at least once a year, for as long as I possibly can. The Pay It Forward scholarship consists of providing one deserving person with the goal of becoming a network professional, books to study from and paid vouchers for the Cisco Certified Network Associate (CCNA) exam when they are ready to test. Scholarship winners will not be ordinary people. They must demonstrate the willingness and drive to learn, despite whatever circumstances they have dealt with, that prevented them from being able to break into the field and become CCNA certified. They must also be willing to depict and carry forward the idea behind this scholarship by using this opportunity as a springboard to grow their careers and eventually pay it forward to someone else. For those who have followed my blog, I recently wrote about making the most out of the opportunities that are presented to you in life. Far too many times in my past, I have wasted the opportunities provided to me. I don’t condone what I’ve done and that is the sole reason why I wanted to share my story with you all. It’s also part of the reason why I wanted to create this scholarship and give someone an opportunity that they may not have had otherwise. If you look at the story behind the movie “The Blind Side“, you see a less fortunate young man become a rich NFL player. That’s probably happened more times than I can count on my two hands and feet but if you dig deeper, you can see the beauty in humans. Sean and Leigh Anne Tuohy out of the kindness of their hearts, took in a poor, less-fortunate young man named Michael Oher who had no where to stay and no money to his name. Only after Michael’s faith in people was restored through the Tuohy’s kind acts did he transform into a force of nature that led him to become an NCAA SEC all-american and a first round in NFL pick for the Baltimore Ravens. Plainly speaking, Sean and Leigh Anne changed his life and I want to change people’s lives as well. You see, I’ve always enjoyed helping others and whenever I could, I would. However, I seldom had the means to help, whether that be through knowledge, money, or something entirely different. At this point in my life, I do have the means and I don’t want to waste MY opportunity to make a difference. People like Greg Ferro and Ethan Banks from Packet Pushers, Ivan Pepelnjak, Brent Salisbury, Anthony Burke, and Ron Fuller just to name a few have inspired me to give back to our great networking community. These folks and countless others have made contributions to our community in ways that can’t be valued and I appreciate and thank them for everything they’ve done. But that’s enough about me, let’s learn more about the inaugural 2013 Pay It Forward scholarship winner: Anthony Rodriguez. I met Anthony almost a year ago in the #packetpushers channel on irc.freenode.net and have maintained communication with him ever since. Anthony is an IT professional from Bloomfield, NJ and has tinkered with computers since his adolescent days. He built his first computer at the age of 11 and his first “network” at 13; he’s always found himself building things out of necessity. For example, Anthony built his first PC due to the lack of funds and the inability of getting his current computer repaired. While admitting he’s not always fully applied himself, Anthony is a very bright person. He obtained his A+ and Network+ certifications at the age of 19 without any real world IT experience. While studying for the Network+ certification, Anthony’s interest and curiosity in the networking field was piqued. He knew then that IT and networking in particular were his passions and what he wanted to spend his time doing. Anthony has faced recent medical issues that have prevented him from taking exams in the traditional way and also led to him losing his most recent job. However, he is not letting any of this stop him. Anthony is excited and determined to pass the current CCNA exam (640-802) before it expires on September 30, 2013 once he receives his books. Speaking of books, I’d like to thank Cisco Press and Pearson IT Certification for donating the Wendell Odom’s ICND 1 and 2 books for the current CCNA exam to Anthony. Once they found out about my plans for this scholarship, they were more than willing to donate them. I can only hope that they continue to help with this cause going forward, but if they don’t, I truly appreciate the contributions they have made. Thanks again! Please check back over the next 4 months as I report on the progress that Anthony is making. Who knows, you may even see a blog post from him every now and then on some of the topics he’s learning about. 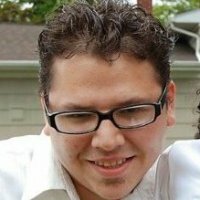 I’d like to encourage everyone in our great networking community to PLEASE get behind Anthony and push him through his goal of becoming CCNA certified and a network professional! And if you haven’t seen the movie The Blind Side, please check it out. This entry was posted in Certifications, Cisco, PIF Scholarship on May 17, 2013 by Keith Miller.